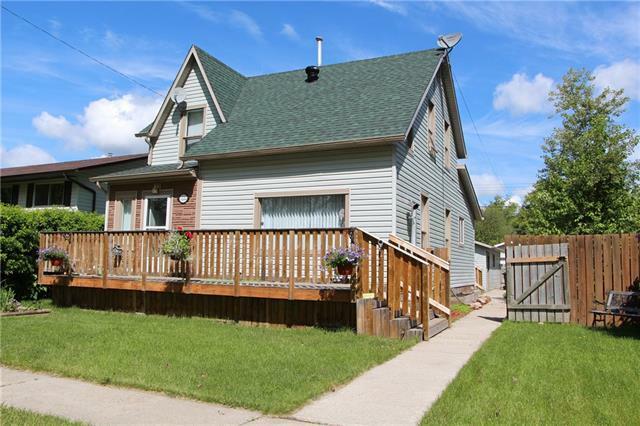 This property is located on a quiet street, close to downtown amenities and across the street from the splash park, basketball courts, baseball diamonds and pathways. 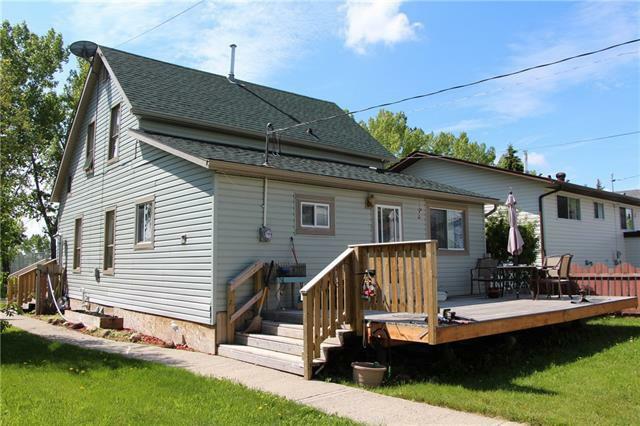 This character home build in 1906 has a new high-efficiency furnace and hot water tank and newer siding and shingles. 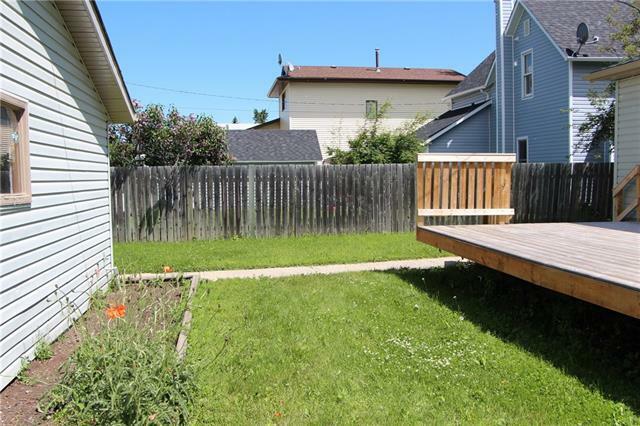 The backyard is complete with a deck, fully fenced yard with a shed and oversized garage (24x26). This homes interior is in need of some TLC. There are Two bedrooms and one bathroom up. The main floor offers a cozy living room, dining room with high-efficiency pellet stove and open concept kitchen with full bath, den and main floor laundry. 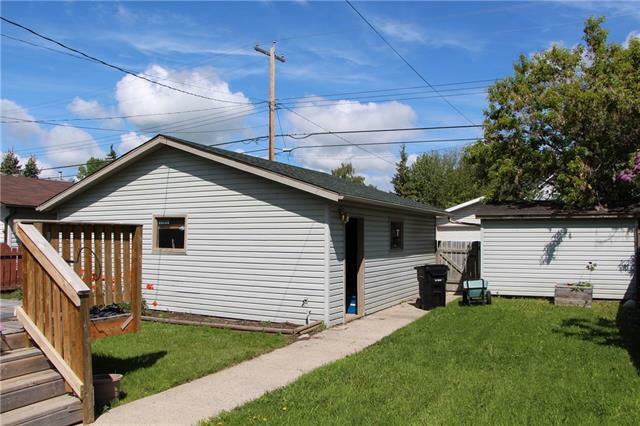 If you are looking for a project and a home you can make your own, this property may be for you. Quick commute to Airdrie and Calgary. Come soak up the sun on your south facing front deck. Call for your private showing today!